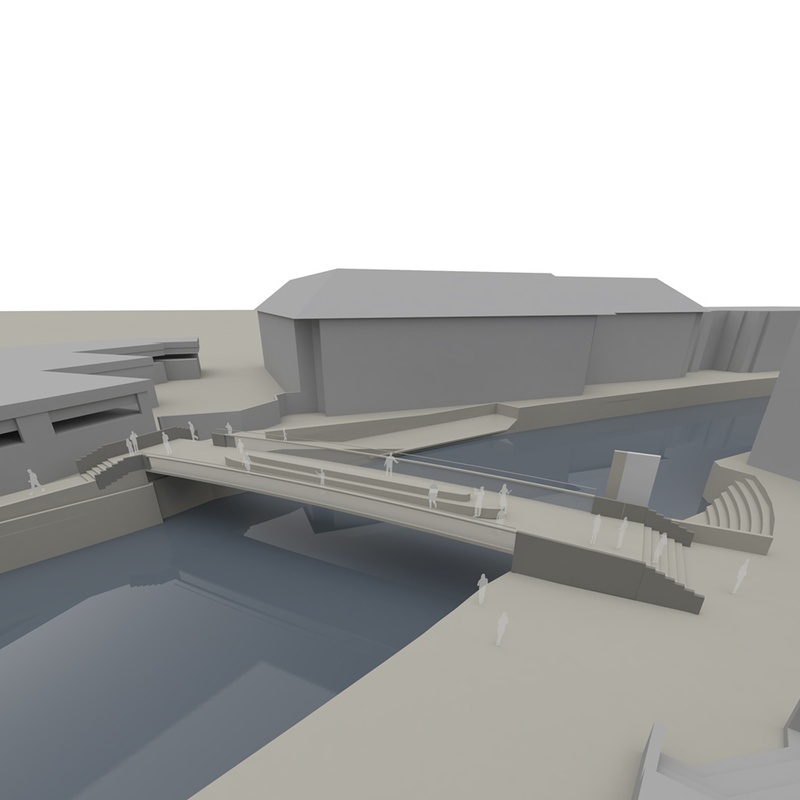 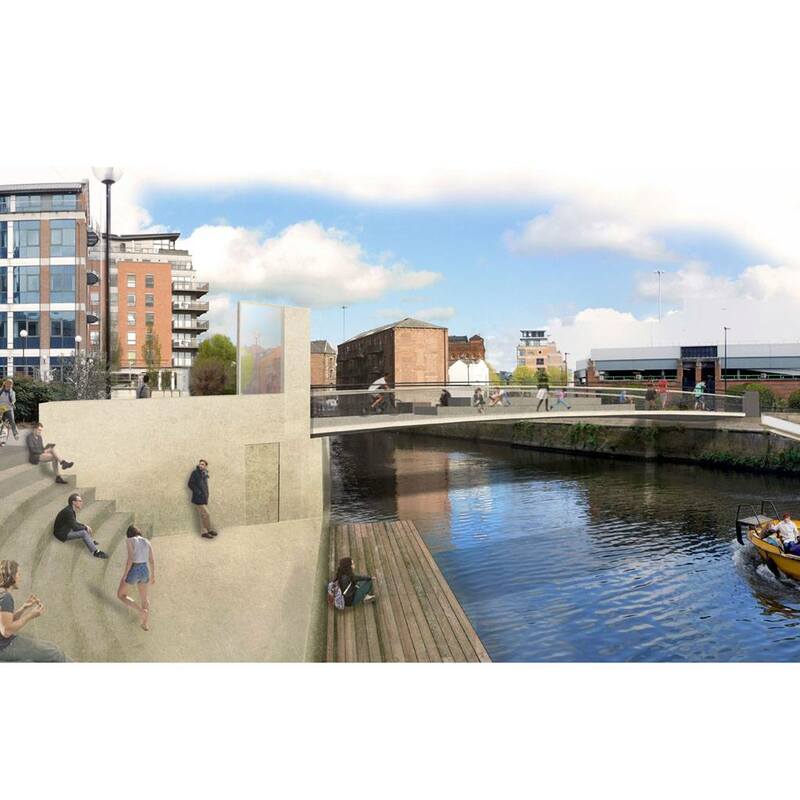 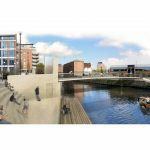 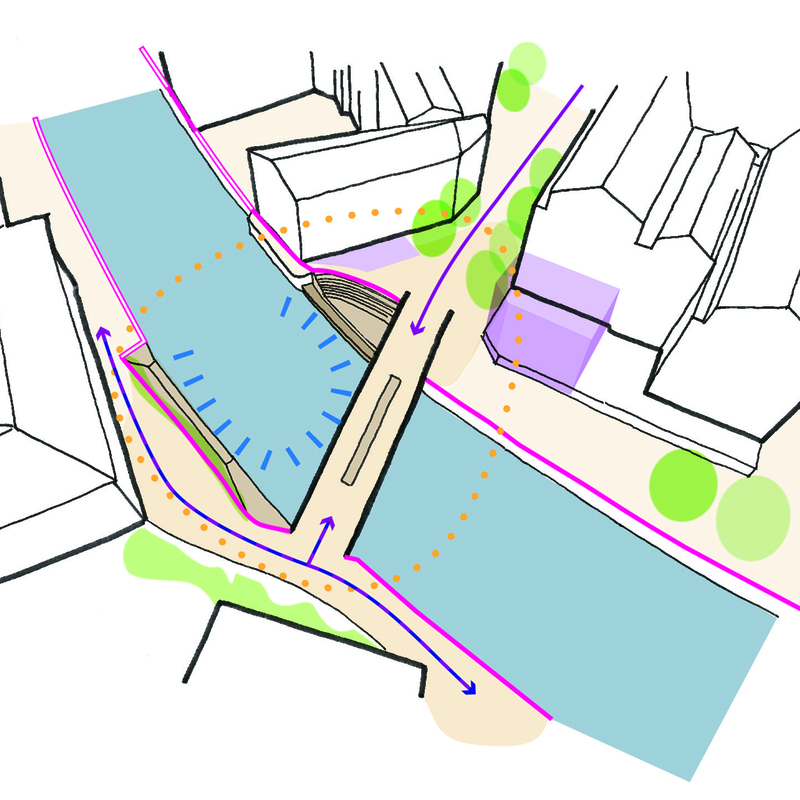 A new pedestrian and cycle bridge over the River Aire in the city centre. 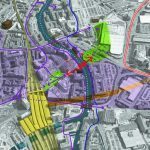 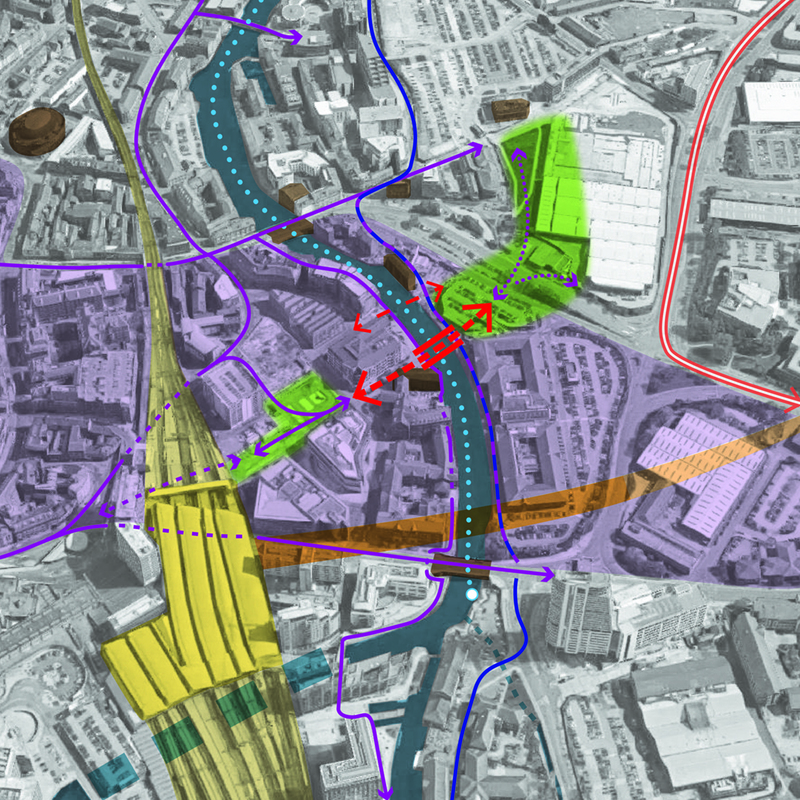 The proposal is intended to help unlock future redevelopment of the South Bank and is based on close analysis of the urban context and the city’s masterplan framework. The moving bridge option allows the deck to be at existing river bank level in normal conditions while lifting up to be clear of debris in flood conditions. 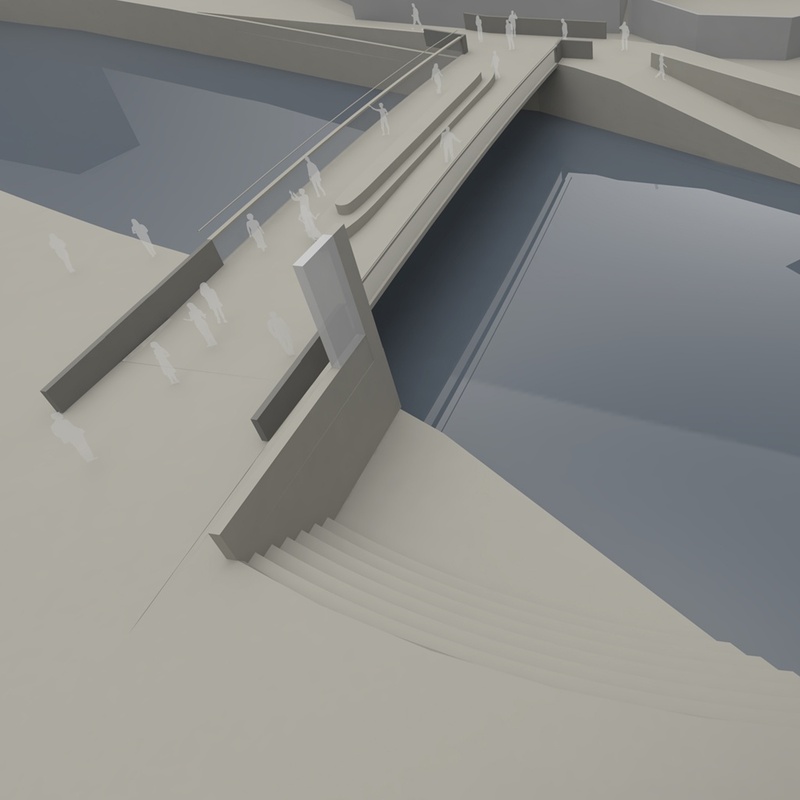 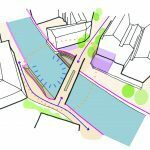 The innovative mechanism allows people to continue to walk safely over the bridge when it is in the raised position as well as while it is actually moving, creating a memorable experience and avoiding disruption during floods.